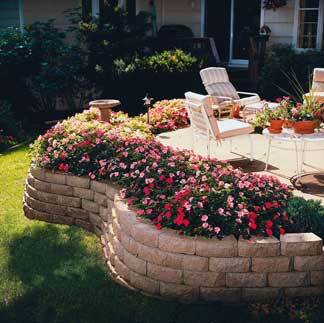 The Anchor Windsor Stone® is the most widely selected choice for homeowners looking to beautify their landscape. With its traditional beveled face style Anchor Windsor Stone® compliments anyone's yard easily. With its patented rear-lip technology installation is a snap. It is ideal for tree rings and curved retaining wall projects up to two feet tall. Cap units help complete your project. Dimensions 4" x 11 5/8" x 8"